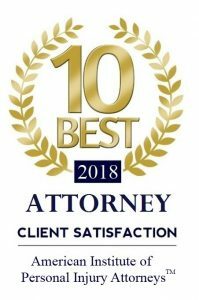 Middletown, NY (Law Firm Newswire) January 16, 2019 The Law Offices of Sobo & Sobo have been awarded the 10 Best Attorneys – Client Satisfaction award from AIOPIA, the American Institute of Personal Injury Attorneys. Each year the American Institute of Legal Counsel honors an exclusive group of attorneys across six divisions by naming them among the “10 Best Attorneys” for each state in their field of focus. 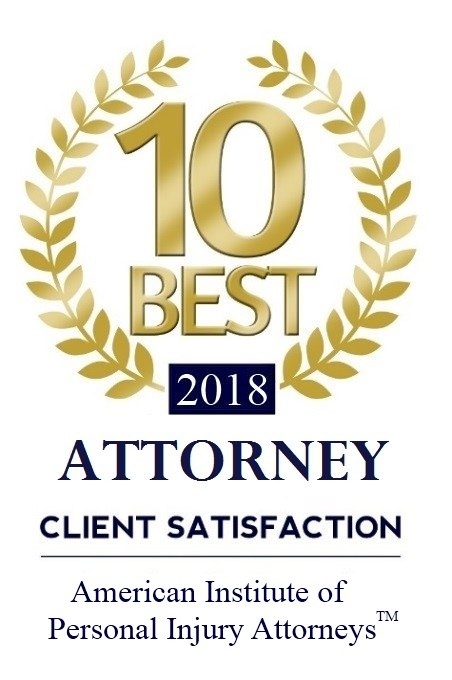 Those selected must not only have attained the highest degree of professional achievement in their field of law, they must be nominated by a client, a fellow attorney or the institute and most importantly, they must have an impeccable reputation for client satisfaction. AIOPIA, the American Institute of Personal Injury Attorneys, believes that attorneys should be recognized for excellence in their field and that potential clients should benefit from learning about the lawyers and firms that represent them. They are a division of the American Institute of Legal Counsel which compiles an exclusive list of the “10 Best” Attorneys in each State. The Law Offices of Sobo & Sobo, one of the largest plaintiff’s personal injury firms in the country, is driven by a commitment to superior service and world-class representation. Sobo & Sobo has a winning reputation for handling a variety of personal injury cases. It all begins with listening to the victim’s story during a free consultation. The firm is dedicated to making each client’s journey as smooth as possible, keeping them informed during the entire process. Sobo & Sobo has offices conveniently located throughout New York including two in Middletown, Newburgh, Pine Bush, Warwick, Poughkeepsie, New York City and coming soon, Monticello. To find out more about their decades of winning cases, visit www.sobolaw.com or call 1-855-GOT-SOBO.